We made the semi-annual trip down to the fire station in Clever this afternoon to sample the book sale. This one was smaller than the one in the autumn of last year, which was smaller than book sales before it. I’m afraid it’s trailing off and might some day not be a thing. Which is fortunate: I like smaller sales because they’re more relaxed. A biography of Billy Mitchell, which I must read soon as he is the fellow for whom Milwaukee’s airport is named, and when we get to Milwaukee later this year, I’ll want to tell the story to my inattentive children. Which will be weird, since we’re not flying and won’t be that close to the airport. A couple books of poetry: Silent Flowers, a collection of haiku and Mortal Acts Mortal Words, an older self-published looking collection. Two Rogue Warrior titles, Seal Force Alpha and Echo Platoon. A collection of Jules Verne, which includes Journey to the Center of the Earth, Around the World in 80 Days, and The Clipper of the Clouds. Zen and the Art of Knitting. I’ve got Zen and the Art of Motorcycle Maintenance around here somewhere, and I expect this will be a good follow-up to it. The Last Christmas Show by Bob Hope. I’ve queued up a number of Bob Hope books for when I go through a Bob Hope books phase much like I did with George Burns last year. In addition, we picked up a couple of DVDs for a buck, including Captain America: Civil War, L.A. Story, and Short Circuit. So that might be it for the book sales for me for the spring. I’m not sure I want to trek all the way to Bolivar (for those of you not native to Springfield, that’s an exaggeration, but only a slight one) to the Friends of the Springfield-Greene County Library book sale for books (I’ve already trekked that far for LPs, but that’s another story). Which is all right: My book reading has slowed this spring for some reason, and I’ve been borrowing from the library in areas I’d like to study but that are underrepresented at book sales (the Zen of knitting notwithstanding). Total spent, after tacking on another Friends of the Clever County Library card (which I also renew semi-annually): $18. 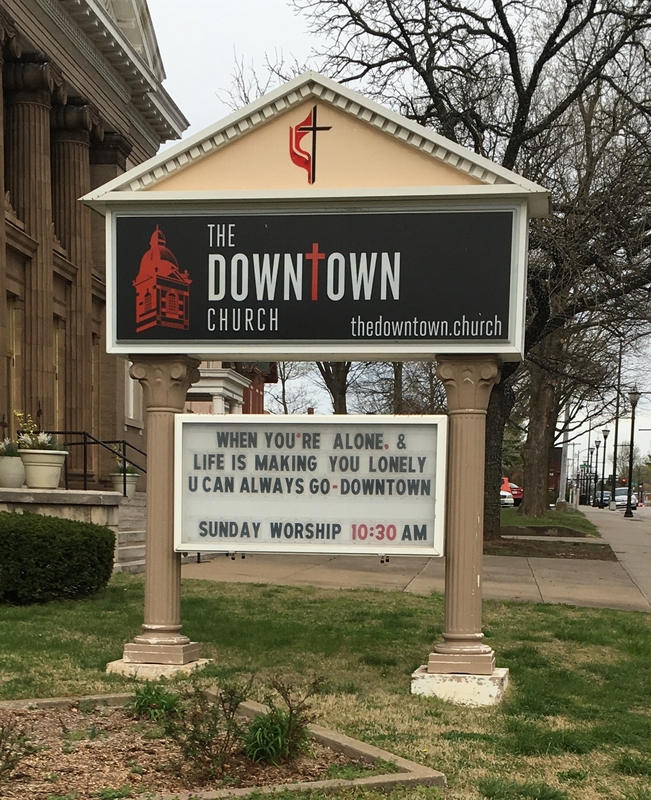 An allusion to a fifty-year-old song isn’t targeting the kids these days. I’m not sure anyone but me and Mr. Hill would get it. I’m not saying I’m old, but I have a Petula Clark album. I’m saying I inherited it from my sainted mother. Speaking of Spanish language classics (which we weren’t, but this is my blog, and I’ll direct the conversation, thank you, but I want to give you the impression, gentle reader, that you were a part of it), we have “La Nave de Olvido”. 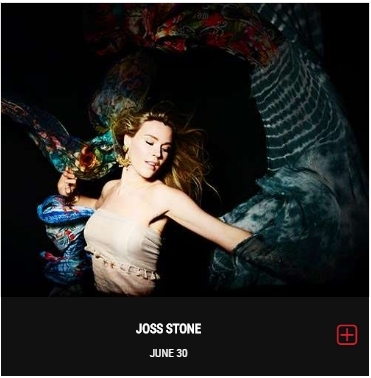 First up, we have José José, an artist I found when looking for test data that uses accent marks (don’t judge me–I am a software tester, and I judge YOU!). Of course, I have to go with the songbird here, too, favoring Ms. Carr’s version. In most cases, I’d rather hear a woman sing of love than a man. I might have read this book before; there was something familiar about it. Of course, it would seem familiar, as the Dao is out there, and I’m only gleaning what already exists in all of us and the universe. 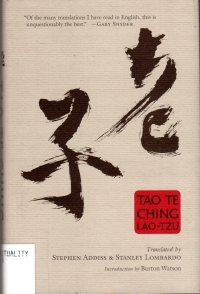 At any rate, the Tao Te Ching is a collection of 70-something short verses built for contemplation of the Tao. Like many Eastern koan-style verses, the meaning of the lines is paradoxic on a surface reading, but once you get into the spirit of the thing, you get a better idea of how the paradoxes are resolved through recognition of the universal at the root of both horns of the paradox. So the effect is calming as you go through it a bit, relaxing, but then it becomes a little repetitive because once you grok it, additional repetitions and slight twists of the theme don’t add much. Or perhaps I’m not deep enough into it to get the subtler meanings of the repetition. I borrowed the book from the library as part of my recent Eastern history/philosophy focus, but I wouldn’t be surpised if a closer inspection of my read bookshelves already contains a copy of this translation even. If not, I’ll think about picking one up if I can find one inexpensively (the list price is $17, and I don’t think it’s Tao to spend that much on a book). I don’t think I could pursue Taoism as a full-time philosophy, as looking for the natural, going-with-the-current-of-life action for most situations for me would be to take a nap, and I think life requires more action than that. But it should also have a sense of peace that the Way emphasizes. A study of Springfield’s trash and recycling collection finds it is not the most efficient system available, and city council members are looking at some potential changes. Springfield has a free market system, with 12 licensed residential haulers within city limits. Citizens had previously expressed concerns about wear and tear on streets, noise and traffic congestion. A Kansas City consulting firm, Burns and McDonnell, hired by the city, gathered opinions from people by phone, in a survey and in open houses. They found Springfield residents pay more than people in some surrounding communities, without added services like recycling or yardwaste and bulky item pickup. It found most citizens care about the environment, but only 55 percent recycle. This is only a preliminary study, but the city has given waste haulers the two year notice that would come along with a change eliminating the citizens’ choice. It seems a small thing, the trash hauling bit, that I harp on it over and over, but that’s because, at the root, the principle that the city can mandate a single provider for mandatory service flies against a whole lot of liberty and limited government. It’s not even that the trash trucks provided the roads they run on, which is the rationale behind government-granted monopolies in cable television, telephone, and electrical service. The “principle” as it is is not limited to trash service and could be extended to grocery stores and gas stations (whose trucks use the roads too, donchaknow it would be more efficient if there were only one set of trucks on the road every day!). Meanwhile, watch as I, like Natty Bumpo, have to move further and further into the country as “civilization” advances. Apparently, in the middle 1990s, Marvel and Byron Preiss/Putnam put out a series of novels based on Marvel properties. In hardback. These books preceded the new movies that revitalized the Marvel house, by the way. These books, it would seem, did not do it. This book is not the first of the Spider-Man books; it mentions a couple of other adventures in the past, and they seem to be building to something, as elements of those previous books led to elements in this book. At any rate, the plot: Spider-Man finds out that Doc Ock is plotting something, and it might have something to do with a company he’d investigated previously, including some teaming up with Venom in Miami (in a previous book). Venom (Eddie Brock) is also on the trail of the company, which seems to have supplied Doctor Octopus with nuclear material that the bad doctor is going to use to crash the world’s financial markets and then destroy some cities to purify the human race. So it’s standard super hero fare. 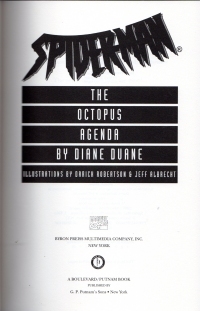 But, unfortunately, a Spider-Man comic (or film) might be hard to transfer over to a novel, and Ms. Duane doesn’t capture the essence and the kinetic energy of Spider-Man. It’s told a bit like a straight thriller (with Spider-Man in the center of it), but the pacing is not as fast as you would expect if you were raised on Spider-Man comics, and there’s a bit too much day-to-day interaction between Peter Parker and Mary Jane (along with their housekeeping and her modeling jobs). So it’s a bit slow. Additionally, there are some errors and oversights in the book. If I recall, it refers to the place where the license plate attaches to the car as the fender instead of the bumper. It calls the headquarters of the Fantastic Four the Fantastic Four’s Headquarters instead of the Baxter Building. It talks about the sound of Spider-Man’s footfalls as he walks into an abandoned subway station (which sounds loud for what are essentially socks, and walking on the floor seems very un-Spider-Manish). And a couple other things that were jarring. On the other hand, the book has moments that struck right or fit in with my worldview. When MJ takes a job doing voice work for a Captain Planet and the Planeteers style cartoon, one of the other says, “Please God, twenty years from now when everyone’s reading Tolstoy and Kipling again, all this will seem very silly.” (Spoiler alert: Twenty years later, they’re probably planning a live action Captain Planet and the Planeteers reboot instead of reading Kipling (didn’t they just do a live action Jungle Book reboot? They were rebooting the cartoon no doubt.)) In another, an elderly cell phone hacker calls a grown man Stevie, and this reminded me of an older woman I knew who called a distinguished doctor “Jeffy” and the former state legislator and current County Clerk “Shanie.” So that rang true. Doris gave him an excessively wry smile. “It must be, dear. They’re the government aren’t they? My goodness, that sounds current, doesn’t it? Except for the analog bit and prediction that the digital will make it harder (spoiler alert: It doesn’t). At any rate, it’s an okay book, more of a thriller than a Spider-Manesque story, although it has Spider-Man characters. As it deals with cell phones, it’s more current than a lot of the fiction I read and has aged pretty well in that regard. I might pick up some of the others in the line as I come across them. Can anyone help me identify it and give me a hint as to how to reverse the effects of any dark magic it might entail? 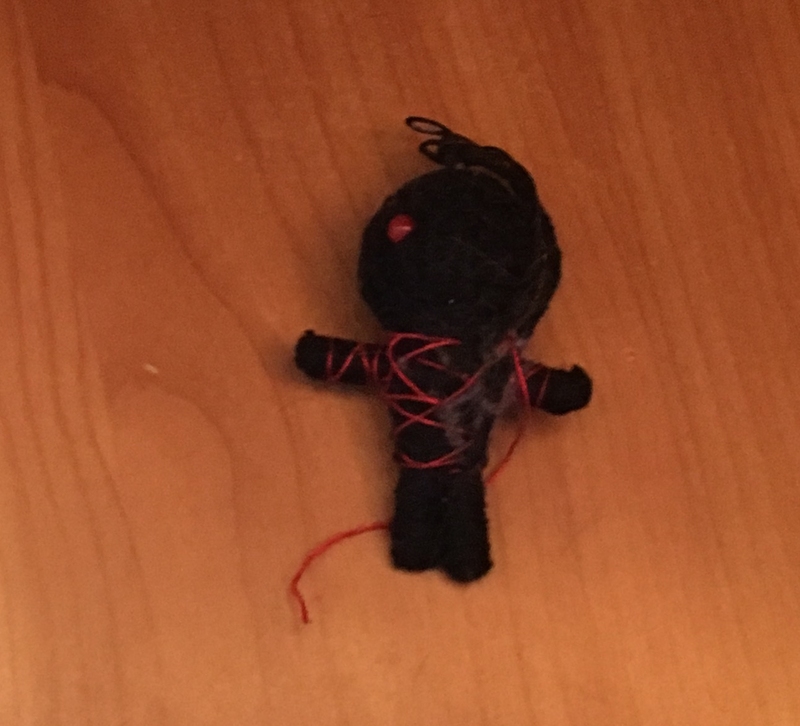 Also, can anyone please tell me whether it was my children, my cats, or something more sinister that deployed this demonic bit of obeah upon us? A little bit of Plato’s Phaedo. A portion of the Akkadian myth of Marduk and Tiamat. Alien Legion #10, an Epic/Marvel comic book from 1985. Geez, I feel like I am in college again. One semester, I tried to keep up with the reading, briefly. I was taking six classes of philosophy and English, so it amounted to about 200 pages per night. That meant I got up at five, worked a couple hours at the grocery store, went to classes, went back to work at the grocery store for a couple hours, went to a campus even sometimes, and then came home to read until midnight. I did this for two weeks my junior or senior year, and I kept up with the assigned reading. 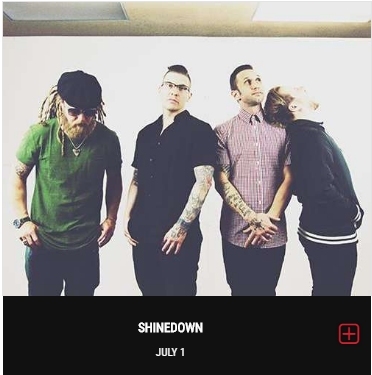 But I realized if anything made me fall behind, I would never catch up. So I went back to my normal pattern of keeping up with the classes and picking and choosing the texts to read. One semester, I took a course on Ben Jonson, the playwright contemporary to Shakespeare, and (predictably) I fell behind in the reading for the class, so in the week leading up to finals week, I read a play a night (which wasn’t too bad–it wasn’t 200 pages a night, but it was a bit of a slog). The last class before the final, he said anyone who had an A in the class already could skip the final, and, as it turns out, I did. The A was on the basis of comparing Jonson’s play Sejanus His Fall to Machiavelli’s The Prince and to show how many of the rules Sejanus broke. Apparently, and unbeknown to me, the professor had written a book similar to my paper, and I didn’t come across it in my research. Because, face it, my research was to take things I’d already read in other classes and apply them to topics of the current class to streamline my paper writing and research. I didn’t go looking for scholarly work on it. As it turns out, my reading was not required. But it comprises volume one of a two-volume set of Jonson I picked up later, so I only have to read the second when I find it. Not included in yesterday’s reading: Perfect Dark: Initial Vector, a book based on the video game series that I picked up after Perfect Dark was the answer in a trivia night a couple weeks ago. My mother-in-law asked me on Sunday what I was reading, and I’d just started that paperback. So if you ask me what I’m reading, the day that you ask me is apparently very important as to whether I give the impression of a well read scholar or a garden variety geek. Yesterday, I had a couple of minutes to kill, so I ducked into the Disabled American Veterans thrift store to browse the albums therein. A warm-up, perhaps, for the Friends of the Springfield-Greene County Library book sale later this month which will also feature a large number of albums for a buck each. At the DAV, they were less than a dollar each, which is lower than the norm. At any rate, what I got would make Gimlet jealous, perhaps. Hoch Die Tassen! by Xaver Hirschleitner, Original Münchner Blasmusikanten (I think). Ich Bin In München Verliebt by Die Kaiserlich Böhmischen Und Die Bayerischen Königsjodler. Christmas with Julie Andrews because it has a perfect cover, and the one I have is defaced with some childish inking. Man, that is some German music (complete with konigsjodelling). It reminds me of the church festivals in Milwaukee, and it makes me homesick for my homeland. Which is not Germany, but it hearkens back to that country. Congressman Devin Nunes stepped aside in the Congressional inquiry. Somewhere, I saw that his name did not have a tilde because it’s from the Portuguese, not the Spanish. Which means, upon further reflection, that I have been pronouncing Clara Nunes’ name incorrectly. I would say, “Ay de mi,” but that, too is Spanish. ate in the night on Jan. 29, three still-unknown thieves drilled through the skylight of a building near Heathrow Airport and rappelled 40 feet to the floor, bypassing the security alarms. They went straight to six specific crates that contained three dealers’ worth of books that were en route to the California International Antiquarian Book Fair in Oakland. Over the course of several hours, they unloaded the books they wanted into duffel bags, belayed their loot to the roof, and took off in a waiting van. The haul totaled nearly $2.5 million. Or are the Good Book Hunting posts merely book laundering? I thought the book sale was open until 6pm yesterday, but when we rolled into the Ozark library at 4:40, it turned out we only had twenty minutes to browse. Which impeded me less than a current soon-to-be-forgotten self-discipline in buying books. No longer am I in the market for dollar hardbacks that might be interesting someday. Instead, I’m looking for items in particular subject areas or by authors I have read and will probably like. Which no longer includes John Sandford, by the way. You can see my beautiful wife got a bunch of magazines. She likes to browse through them pretty quickly and tear out recipes and other items of interest for later review. This particular sale is her favorite because they have so many that fit her criteria of interest. Also notice she bought a book entitled Black Belt Karate, which is funny because she is about a month shy of receiving a black belt in a different martial arts discipline. Two Dresden Files books by Jim Butcher: Side Jobs and Changes. The Ancient Near East, a collection of primary texts from that period (which is suddenly one of my interest subject areas. Note that this practice of self-discipline often means I buy a collection of books in a current interest which then passes or pauses, and the books sit unread for years. Into These Hills, a bit of Ozarks history. The Pessimist’s Guide To History, a collection of historical anecdotes and not an epistemological filter on actual history. Learning To Kill, a collection of short stories by Ed McBain (and, perhaps, some of his other pen names). The Reagan Wit, a thin volume about the 40th President’s humor. Lost Boys, a book by Orson Scott Card. Presumably not about teenaged vampires. That’s only 8 books, which is felonious self-restraint. The biggest story here is the one that got away: I had picked up another book, a collection of stories about a Chinese folk hero whose name escapes me that was translated from the Chinese. I was surprised not to have it. At any rate, I’ve read more books than I’ve bought this year, but the upcoming weeks will include the Friends of the Clever Library Book Sale and the big kahuna, the Friends of the Springfield-Greene County Library book sale. I will visit the latter twice: once on a week day for dollar albums and then on Saturday for the half price day to seek books in my preferred current interest areas and any CD lecture series that look interesting. So we had a good Spring thunderstorm a few nights ago at Nogglestead, and after about thirty minutes of a driving rain against the west side of the house, my beautiful wife’s office window started leaking. And by “leaking,” I mean it was as though Thor himself was urinating on her electronics. She scrambled to move and cover her equipment, and I scrambled to find what was going on. In a driving rain. Lit occasionally by lightning. This is kind of old hat for me. Back in our Casinoport days, water got into the house by every sort of way. The walkout basement was really a dugout sliding glass doorway that looked uphill and had a single drain to relieve the rainwater. It also had two crab apple trees above it. I had to sweep that out every day to ensure the crab apples, shaped and sized perfectly to fit into the holes on the drain cover. I learned this the hard way; once, when I did not, I looked out the door during a heavy rain, and it looked like an aquarium with a really low water level. Which lead me to an evening spent in the pouring rain, bailing my walkout basement’s landing and clearing the drain every minute or so. Then there was another time when the gutter pulled away from the end of the house during a thunderstorm, allowing the water to stream off the roof into the runner of the sliding window in the kitchen, which led to the water rolling out of the runner into the dining room. 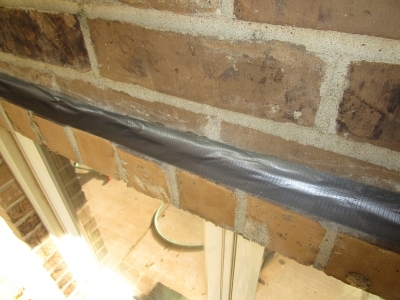 I was able to prop the gutter into place with a propitious two-by-four and reaffix the gutter in the light of day. But I had no such luck that recent night at Nogglestead: We don’t have any trees to block the gutters, and they were half-empty or half-full (I’m not sure which I should insert here to self-identify as a pessimist). Nothing was collected on the deck above the window. I didn’t see anything, but I did know that the lintels above the window could use a caulking and a painting, which I couldn’t do in the rain. When we first moved in, the home inspector had shown us where the window and door frame below our deck could use a caulking, and right after we’d moved in, I did so, but that was eight years ago almost. So it looks as though it’s time to revisit that, and I’d put it on my list of chores for the summer that I’d get to right after reading yet another book I’m likely to not remember anyway. So I bought a couple tubes of exterior caulk and took a look above the window instead of at the lintels. Oh, my. Above the windows were some end-facing bricks with some broken-down mortar and some splotches of caulk. 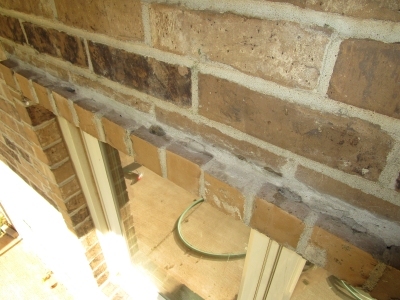 Some of the holes in the brick had been filled with caulk, and there were some splotches of brown caulk here and there where the mortar had started to break down. That looks like something I might do. Did I do that? I don’t think so. I’ve never bought brown caulk in my life. So I chiseled out the old mortar and pulled the old caulk out. And I took steps to ensure that this never happens again. Now, back to that book I am reading. What is it again? I’ve forgotten already. So this year, I’ve started putting strange things in my children’s lunches for school. I know, the customary thing to do to make a big deal of it on the Internet is to put a little love note or drawing into the lunch boxes and then to produce ready-for-viral listicles of images. But I’m not a mommy and I’m not artistic. So the lads get some strange foodstuffs indeed. It started when, as a lark, I put a tin of Fancy Feast cat food in their boxes. Then, a couple weeks later, I thought about putting some brownie mix, unprepared, in the Pokemon and Sonic the Hedgehog comestible containment devices. I was at the store at the time, but I could not find inexpensive (sub-buck) brownie mix, so I picked up three boxes of Jiffy Yellow Cake mix. The next day, they each got one, and I baked the third so they could actually have cake when they got home. One of the lads, good boy, opened the cake mix and ate some of it at school. I considered giving each pack of microwave popcorn two weeks ago, but I demurred. Because I wasn’t sure that one of them would open it, and that would be a waste of my beautiful wife’s preferred snack of late. Today, I gave each an ice cream cone. No ice cream; just a cone. Someday, perhaps when I am gone, they will get to talking and say, “Do you remember when Dad put something in our lunch?” And they’ll think of me. Or perhaps they’ll mention it to their therapists. Regardless, it’s building my immortality, one little bit of remembered silliness at a time. This book is quite a downer. 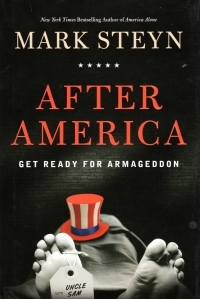 I read America Alone almost six years ago (when this current title was still fresh). This one is less optimistic: in the interim, America Alone (ish) elected Barack Obama, and several years’ worth of his policies were underway, so Steyn is concerned that America has joined the rest of the west in entering its decline. So he talks about what the world will look like after the United States cedes its hegemony to other nations with less noble intentions. Five years after the book, I’m not as gloomy as Steyn was (and is now, given the title of his latest book–After America for those of you who might not know). The sweep of history is broad and long, and its predictors are more often wrong than not. However, the book does crystallize, or should, that our Western traditions and heritage are better than all the others that have been tried and do require some conscious defense thereof. If you merely enjoy liberty without recognizing its sources, someone will quickly take it from you. Right down to how long it took me to read it after its publication. As I said, it’s pessimistic, and it’s too much like reading his blog in book length. Which is to say, depressing if you take it too seriously. He might be right, he might be wrong, and most likely he’s part both. But there’s no good spending one’s evenings before bed wallowing in it. Also, the recent past might suggest a change in the wind for the United States which, one way or another, will render its half-decade-past prognostications out-of-date. So read it if you’re reading this blog post from somewhere in 2011 or 2012 when it’s fresh. Otherwise, stick to shorter, current doses on the Internet. And remind me to stay away from current events books at the upcoming book sales. As I might have mentioned, I found this book when I went looking for The Legend of Gilgamesh. This book was on the book shelf where I’d last seen the earlier work, so I read it instead when I could not find the epic. They’re almost the same: You’d have to explain to anyone under thirty-five who either of these guys is. Or was. 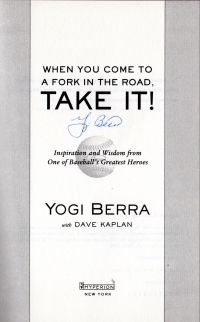 At any rate, this book collects a bit of Berra’s recollections from his life in baseball and presents a little life advice based on it. That’s about it. He talks about breaking into the big leagues, playing in New York in the days before baseball players made millions, and his youth in St. Louis. It explains how he got the nickname Yogi and, more importantly, his real name (which is probably available on his Wikipedia entry, but I’ve never looked at it). Both of which could help me should they come up in a trivia night. Which would have to be run by someone older than 35. A nice piece of filler reading material. It won’t change my life, but it was pleasant. 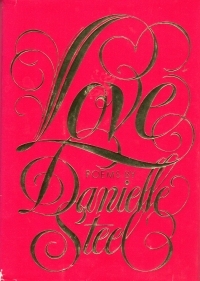 Also, take a look at that title page: It looks as though this book is signed by the author. How cool is that?